Fact #1: You are probably chronically dehyrdated. In fact, roughly 75% of Americans are. The old benchmark of eight cups of water a day—originally endorsed primarily because it's easy to remember (8 x 8 ounces)—simply isn't enough. In reality, the average person expends 10 cups of fluid a day through normal bodily processes like sweating, exhaling and urinating. And when you're out exercising on a hot summer day, it's easy to lose two quarts an hour. For active people, it's key to hydrate in advance. If you're waiting until you're thirsty before reaching for water, it's already too late. But using a reusable water bottle reminds you to drink even when you're not thirsty. Fact #2: When we finally do drink, it's often out of a cheap, disposable plastic bottle that, more likely than not, will wind up in a landfill. Roughly 29 billion plastic water bottles are sold in the U.S. every year (more than any other country), and only 13% of them are recycled. The rest end up in garbage dumps or, worse, floating in the ocean*. That's not a problem with a high-quality, reusable water bottle. 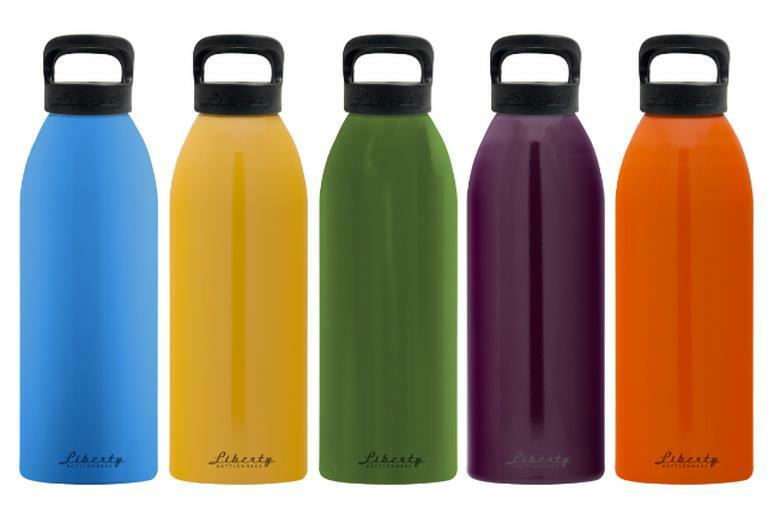 Click here to see our 13 favorite water bottles. Fact #3: It's cheaper to buy a quality, reusable water bottle. When averaged out, Americans buy and drink 167 bottles per person per year, which costs roughly $400 per person. The most expensive bottle on our list is $44, and most are $20 or less. It's easy math. Buy just one, refill it with refreshing tap water, take good care of it and save money. Of course, not all reusable bottles are made the same. There are scores on the market, and they all have their strengths and weaknesses based on materials and functions. Plastic bottles got a bad rap a while back, thanks to Bisphenol A (BPA), a plastic that leaches harmful molecules that have been implicated in several disorders like heart disease, diabetes, sterility and developmental issues in children. Today, though, most use a safer replacement plastic called Tritan™. Plastic bottles are usually on the cheap end, they're lightweight and simple to clean, although they don’t do well with prolonged exposure to dishwashers. Glass bottles offer a pure taste, are easily washable, and work well for both hot and cold drinks. Plus, they perform well in microwaves and dishwashers. Just don't drop them. That said, many trendy new glass reusable bottles have a protective exoskeleton to mitigate some falls. Metal bottles are super durable and relatively lightweight. They do dent if dropped from high, but that just adds character. Many forgo interior linings and manage to retain no metallic taste. They’re a little more difficult to wash and aren’t the best in dishwashers, but their longevity and overall durability makes them a good partner for the long haul. We sorted through the bafflingly wide and complex world of reusable water bottles to bring you a baker's dozen that get it right. 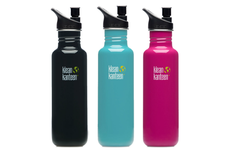 They're attractive, durable, easy to drink from and clean, leak-proof and perfectly portable. Stay cool—and hydrated—this summer with these water bottles. *The world's largest "dump" is a floating swirl of plastic detritus in the North Pacific Ocean—often referred to as the Great Pacific Garbage Patch—that's estimated to be at least the size of Texas.